When you get a car insurance quote online, you shouldn’t assume that it's the final price that you will pay. Rather, online quotes are more an indication of the premium and are based on the information that you have provided on the form. In other words, the insurance company isn't bound by law to provide you with the price you were quoted on the website. 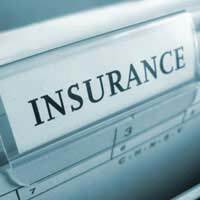 Although many insurance companies will insure you immediately, they will then send out the information in writing through the post to make sure the information you have provided them with is correct. Unfortunately, many people do falsify information and give incorrect information on things such as engine size and modifications to get a cheaper quote. It’s easy to make mistakes too, so make sure you look through all of the documents that have been sent through to you and get in touch with the insurance company should any of the information you have provided be wrong or the premium doesn't match up to what you were expecting. Remember that if you give false information and this is discovered, then your policy will be invalidated. If this information is found after you have made a claim, your claim will be cancelled and you will not receive compensation for any damage caused to your car, or any other car that you have caused damage to. You may also be prosecuted for making a fraudulent claim. Add to this, you may also find it difficult or even impossible to get another quote somewhere else, as you will have to declare that you have been refused insurance elsewhere. If you lie about being refused in order to get a policy elsewhere then this policy will also be invalidated if you are found out. Some companies even employ people or purchase expensive detection equipment specifically to catch out people who are lying. Simply put, it's a vicious circle and it's one best avoided by being honest in the first place. If you wish to qualify for a No claims bonus (NCB) you will be expected to provide information that proves that you have earned a NCB with your previous insurer. Most insurers will only accept original proof documentation from UK insurers such as a renewal notice or if you have driven a company car, a letter from your employer. Your insurance may be £900 per year with £200 excess. If your policy allows you to increase this to £400 excess you may see your premium go down to £700. This is a significant saving but if (and only if) you have an accident you will have to pay the extra £200. If you don’t have any accidents, then all’s good. The success of this approach is entirely dependent how much you stand to save on your monthly or yearly premium by raising the excess payment. If you only stand to save about £20 in total, but pay £200 more if you have an accident, it's not worth the risk. Doing this brings down the insurance quote as the main risk is based on your parent who will pose a lower risk to insurance companies than you. If you are the main driver of the car, and you are found out to be so, the policy may be cancelled and you and your parents could be refused insurance from other companies, leaving you unable to get cover for your vehicle. Even if you're not caught out you won't get any no claims bonus accruing while you are using the vehicle, which will make your insurance more expensive in the long run. Taking out the insurance in your name and add an older, more experienced driver – this can bring the premium down significantly and is entirely legal – it also helps you accrue a no claims bonus. Next time you’re going for a quote, try it – and see if it makes a difference.